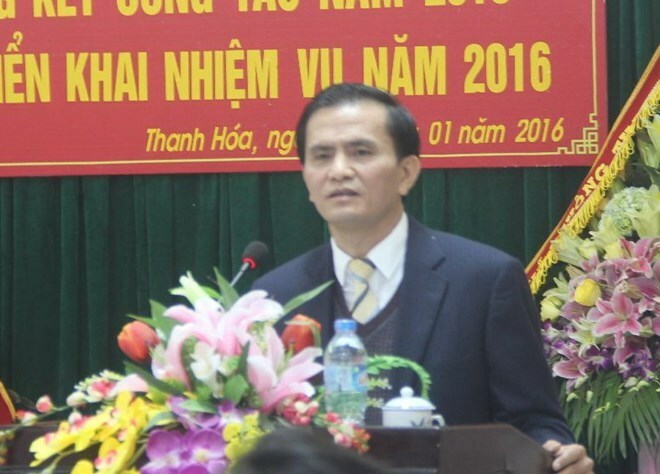 Hanoi (VNA) – The Prime Minister on January 18 signed a decision to remove Ngo Van Tuan from his current position as Vice Chairman of the People’s Committee of the north central province of Thanh Hoa in the 2016-2021 tenure. Decision 80/QD-TTg on the disciplinary measure took effect from January 18. On December 26, 2017, the Party Central Committee’s Secretariat issued Decision 651-QD/TW on applying disciplinary measures against Ngo Van Tuan, member of the provincial Party Committee and the provincial Party Civil Affair Committee by dismissing him from all Party-related positions. According to the Secretariat, Tuan violated Party and State regulations on personnel appointment during the period from October 2010 and November 2015 when he acted as the provincial Party Committee Secretary and Director of the provincial Department of Construction. Notably, Tuan decided to nominate Tran Vu Quynh Anh, a contracted worker at the department, as deputy head, and later, as head of a division under the department within a very short period.